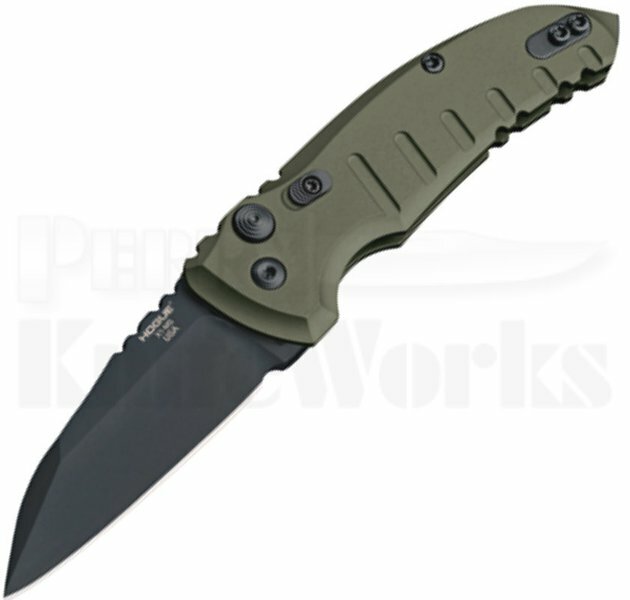 This Hogue A01 Microswitch model boasts a OD-Green anodized aluminum handle and a black finished CPM-154 wharnie blade. The Hogue A01 Microswitch automatic combines a comfortable EDC design with a tough, rugged build. It offers high performance automatic opening action with a sturdy plunge lock for secure blade lock up. Comes equipped with a stainless steel tip-up pocket clip. Made in the USA!